The University of Central Florida appears in our ranking of the 30 Best Online Schools for Graduate Degrees. The University of Central Florida offers 226 bachelor’s degrees, 206 master’s degrees and 75 doctorate degrees. The programs are offered through 13 colleges with more than 200 majors. The College Arts & Humanities offers 23 undergraduate and 13 graduate programs. It is an incubator for artistic exploration whether students wish to delve into literature, philosophy, fine arts, digital media, theater or music. Students explore their boundaries and develop talents under the guidance of faculty who are experts in their field. They are provided hands-on learning through community partnerships while learning in state-of-the-art facilities. The Burnett Honors College is dedicated to those who demonstrate the highest academic achievement. Education is provided through exclusive research seminars, symposiums and the ability to study abroad. Students belong to a collaborative community created from a wide range of disciplines. Small classes allow for more in-depth discussions and greater interaction with instructors. The College of Business Administration offers eight undergraduate and seven graduate programs. Students are provided with the tools necessary to adapt and succeed in an economy that is rapidly changing. Programs include accounting, management, finance, economics, marketing, real estate and more. Students are also able to participate in internships, study abroad or develop corporate partnerships in order to gain hands-on experience. The College of Community Innovation and Education creates highly trained professionals who wish to enter careers that focus on civic engagement and transformative education. There are 20 undergraduate and 37 graduate programs offered through the College. In addition to classroom learning, students are able to work on groundbreaking research and gain experience through internships along with public and private partnerships. Programs include public administration, legal studies, criminal justice, health management and more. Students who want to be challenged to think creatively in fields like aerospace, civil, computer, electrical, mechanical, environmental or other types of engineering will excel at the College of Engineering and Computer Science. Students have created 3-D robotic arms, designed self-driving cars, and developed artificial intelligence as part of their studies. They can choose from 10 undergraduate and 27 graduate programs at the College. 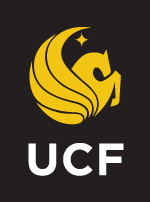 In addition to traditional programs offered on the University of Central Florida campus, programs are also offered in a completely online format. Popular undergraduate programs include a Bachelor of Science in Nursing, a Bachelor of Science in Psychology and a Bachelor of Arts in Anthropology. The most popular online graduate programs offered include a Master of in Applied Engineering in Aerospace Engineering, an Executive Master of Health Administration and a Master of Science in Digital Forensics. After President John F. Kennedy described his desire to put a man on the moon in a 1962 speech, Central Florida, with its proximity to Cape Canaveral, became pivotal to the space program. In order to achieve President Kennedy’s goal, additional institutes of higher learning were necessary. In 1963, the Florida Board of Regents was authorized to create a new state university in East Central Florida, requiring that it be non-segregated and coeducational. The focus of the school was to educate students in engineering and other space-related careers. In 1964, 1,000 acres of remote forest and pasture were purchased in northeast Orlando for the new school. Another 227 acres were donated by residents and more than $1 million in funds was raised to secure the land acquisition. The school was initially named Florida Technological University and the campus was laid out in a unique, pedestrian-oriented concentric circle, a design based on plans by Walt Disney. By 1978, the school had added strong business, education and liberal arts programs which meant its name no longer applied. In December 1978, the name of the school, which had commonly been called Florida Tech, was changed to the University of Central Florida. Today, the University has an enrollment of more than 68,000 and is one of the largest universities in the country. It is ranked as a best-value university by Kiplinger and one of the most affordable colleges by Forbes. The school sits on a 1,415-acre campus just 13 miles east of Orlando and adjacent to one of the top research parks in the nation. Up to 44 percent of all graduates have no educational debt. Freshman applicants, those who have not earned college credit after high school graduation, must complete an application and provide official high school transcripts as well as official ACT or SAT scores. An application essay is strongly encouraged but not required. Transfer applicants, those who have earned college credit after high school graduation, must provide official transcripts from all colleges and universities attended. Transfers who have not earned the equivalent of an associate’s degree must also provide official high school transcripts along with official ACT or SAT scores. Graduate applicants must hold a bachelor’s degree or higher from an accredited college or university. They must have a GPA of 3.0 or higher in all undergraduate work. Applicants to doctorate degrees must provide official GRE or GMAT scores, three letters of recommendation, a resume, and a written essay. Undergraduate tuition for Florida residents is $212.28 and for non-residents is $748.89 per credit hour. Graduate tuition for Florida residents is $369.65 and $1,194.05 per credit hour for non-residents. Online undergraduate tuition is $179.19 per credit hour for Florida residents and $383.86 per credit hour for non-residents. Online graduate tuition is $327.32 per credit hour for residents and $694.82 for non-residents. Students may also be offered work-study programs, assistantships, fellowships or loans. The University of Central Florida began with a mission to prepare students for the growing space program. However, over the years, the University of Central Florida has expanded into a world-renowned research facility and valued institute of higher learning.